Home - Red Rock Power Inc.
Red Rock Power specializes in the construction of high voltage power lines, and substations. We offer a wide variety of services including hot line pole change outs; re-conductoring; fiber optics; underground; retirement and emergency storm repair work. Red Rock Power is a company you can count on. We have gained the trust of our clients and are welcomed in communities where we work. We have earned that place by dedicated commitment to projects, and by being involved and committed to the communities in which we work. Red Rock Power is equipped with all the necessary equipment needed to perform various projects. All of our highly skilled people are trained to operate the equipment. We employ a full-time mechanic to insure our equipment is kept updated and in good working condition. 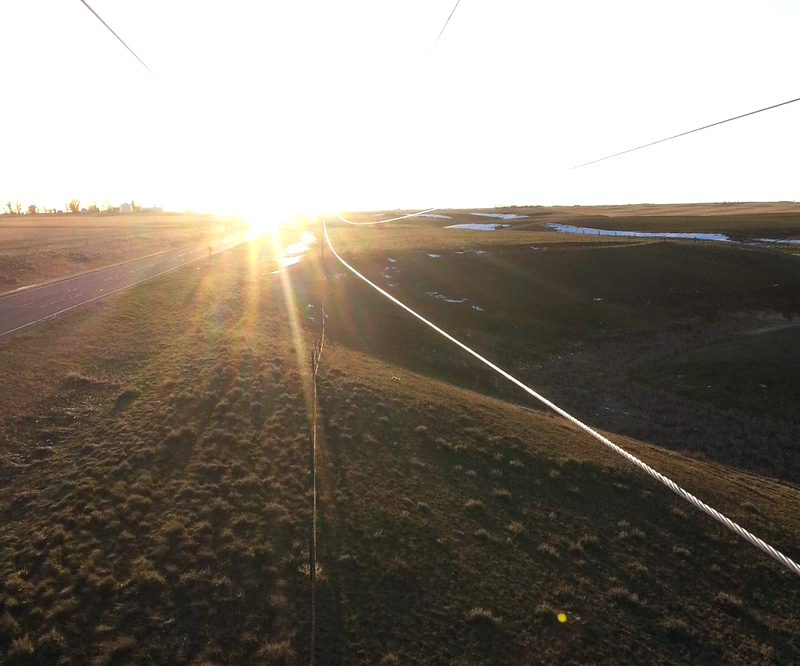 Our aerial equipment is inspected annually by an independent testing company. Red Rock Power Incorporated was founded in 1977. It is a family owned firm based in Havre, Montana. We specialize in the construction of high voltage power lines, and substations. We offer a wide variety of services including hot line pole change outs; re-conductoring; fiber optics; underground; retirement and emergency storm repair work. We specialize in the construction of high voltage power lines, and substations. 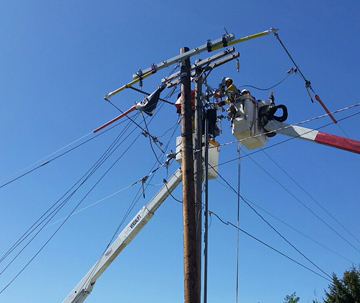 We offer a wide variety of services including hot line pole change outs; re-conductoring; fiber optics; underground; retirement and emergency storm repair work. Safety always, anywhere, anytime. The best safety and health programs involve every level of the organization instilling a safety culture that reduces accidents for workers. When Safety and Health are part of the organization and a way of life, everyone wins. At Red Rock Power, our crew leaders have been with us for at least 10 years and have been extensively trained in all areas of power line construction, ensuring that we are able to place only the most qualified and safest people in the field. Southeast Electric has had Red Rock and Outback Power work for us off and on since 2008, and exclusively for the last 18 months doing storm damage repair, distribution and transmission construction, pole change outs, and maintenance. We are very satisfied with their work ethic,work safety and landowner satisfaction. I would highly recommend them for any construction or maintenance needs. Our rural cooperative serves over 7,773 meters spread across four counties. 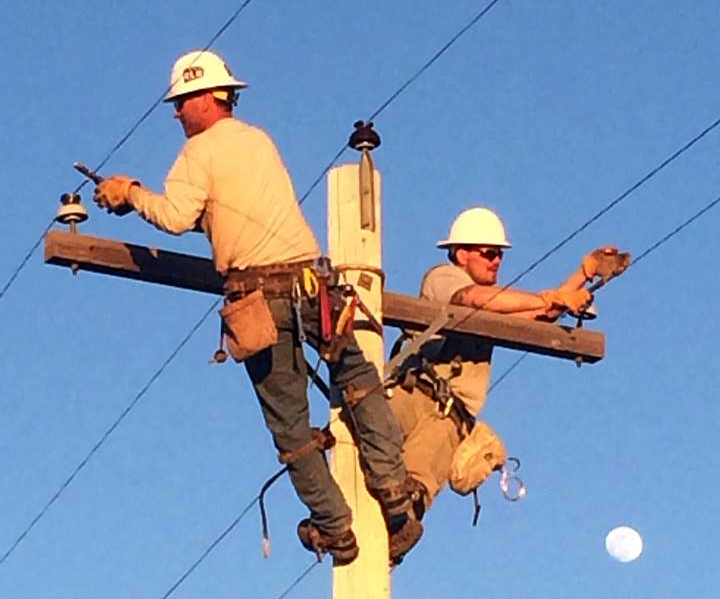 We utilize Red Rock’s service for pole change outs, building line, storm work, and substation work. Red Rock Power is a local company, and their quality of work is unmatched. We continue to utilize their company because of these qualities!